Every country has a hidden spot that entices visitors to return and explore after visiting for the first time! 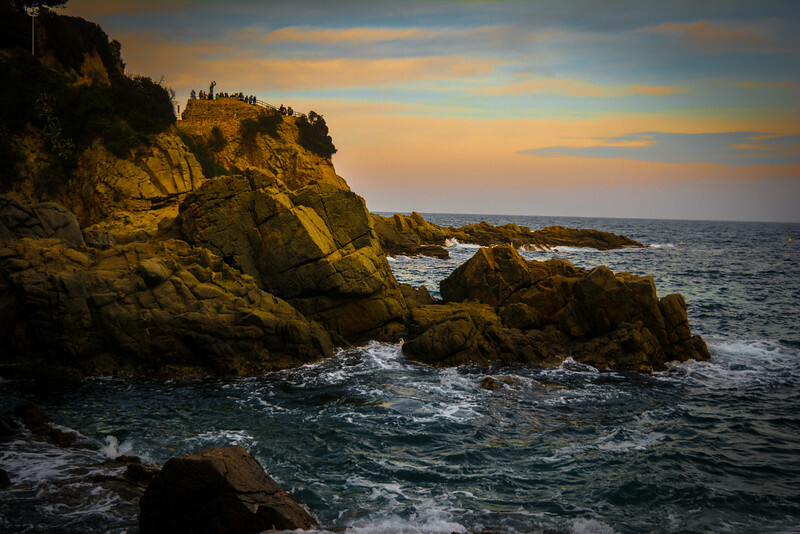 Lloret de Mar may just be that very spot in Spain, though many would argue that the Spanish are spoiled for choice with a plethora of hidden gems around this beautiful nation. 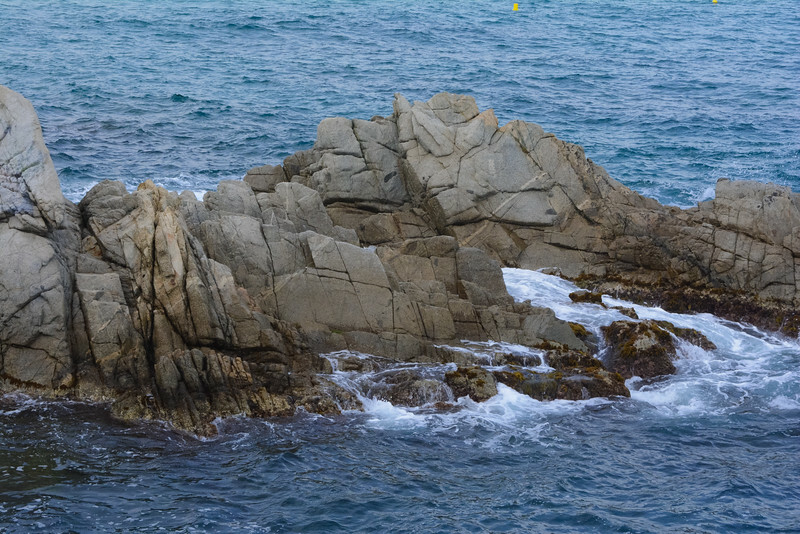 This stretch of Costa Brava coastline is infamous for the gorgeous beaches but after visiting here, it is the rugged landscape that makes this a perfect spot to go exploring. Hiking Lloret de Mar is clearly a popular choice among locals and tourists alike, and after seeing some of the pictures we captured, I am convinced you will understand why! 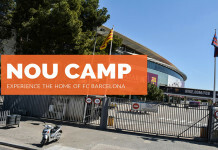 As soon as we heard that TBEX Europe was going to be held in Lloret de Mar, we were excited to find out more about this spot on the Costa Brava. 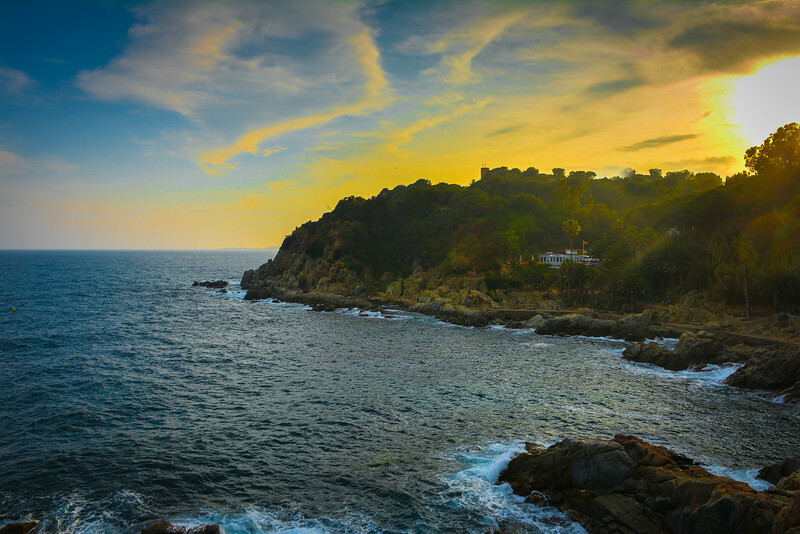 A short drive from Barcelona ensures that Lloret de Mar is an easily accessible location yet this destination offers a number of attractions that makes it very unique in comparison to the more infamous city. 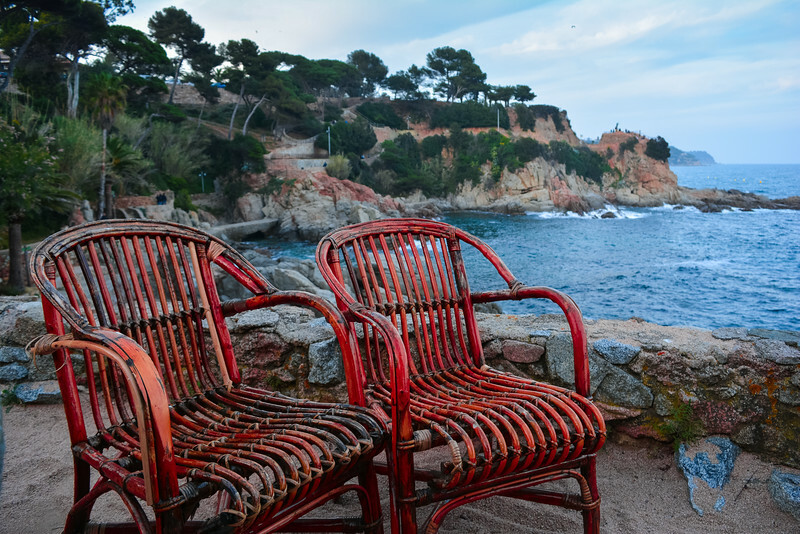 It’s plausible that Lloret de Mar hides in the limelight of Barcelona but when you see the beauty that lies within this coastal town, you will soon find out why this is such a popular tourist attraction. After experiencing the beauty of the landscape in Lloret de Mar, I can’t think of any better location in Spain to take morning walk and take advantage of the ‘golden hour’ to capture some of those memorable sunrise shots. But of course these hiking trails are equally as rewarding at any time of the day, including just before sunset which was when we really explored the majority of Lloret de Mar’s coastline. 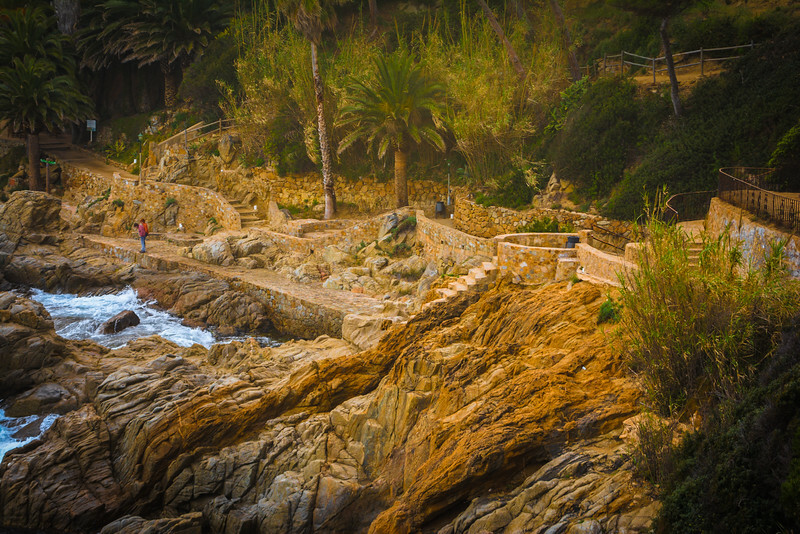 The beautiful coastal footpath between Fenals and Lloret de Mar offers visitors the perfect opportunity to capture the sense of ruggedness, fine architecture and ultimate beauty. We headed to the heart of Lloret de Mar and began the route taking in some really cool monuments and attractions along the way. 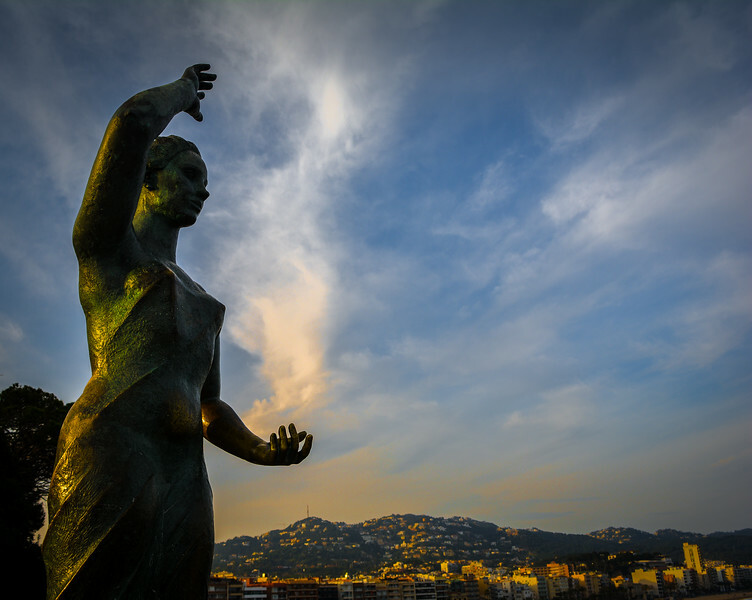 The Fisherman’s Wife statue is an iconic representation of Lloret de Mar welcoming anyone to the coastal town. The views from the plaza where the statue stands are stunning and if you are in the least bit interested in fantasy, legend has it that anyone who touches the foot of the monument while peering out across the ocean will have their wish come true! I’m not sure that I am a firm believer in this, but after appreciating the beauty along Lloret de Mar’s coastline, I could probably be swayed. 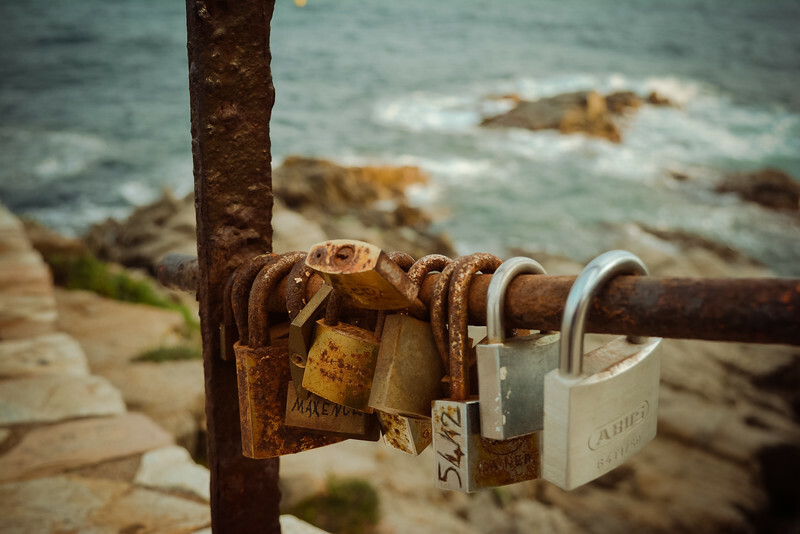 This coastal path is also home to Lloret de Mar’s very own ‘love lock’ collection though whether you consider to be a positive or negative addition to the landscape is entirely your choice! Hiking along the Mediterranean in Lloret de Mar is for the most part pretty straightforward with a number of staircases and weaving turns the most complex that visitors are faced with. However, there are a couple of opportunities for the more adventurous travelers to head on to the jagged rocks and inlets that veer out from the coastline. The distinctive Castle of Sant Joan is what separates the Lloret de Mar beach and Fenals beach and taking a trip to this architectural masterpiece is yet another rewarding experience of hiking this coastal path. 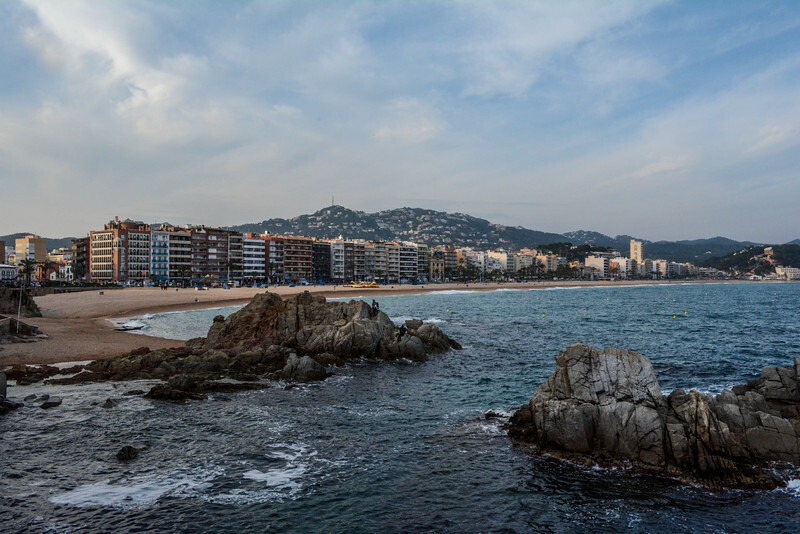 I never envisioned stumbling across such beautiful landmarks while taking a relaxing walk by the ocean – welcome to Lloret de Mar! Why not take a moment to relax and take in the stunning scenery, I can’t think of many better spots to watch the sunset drop over the Mediterranean. 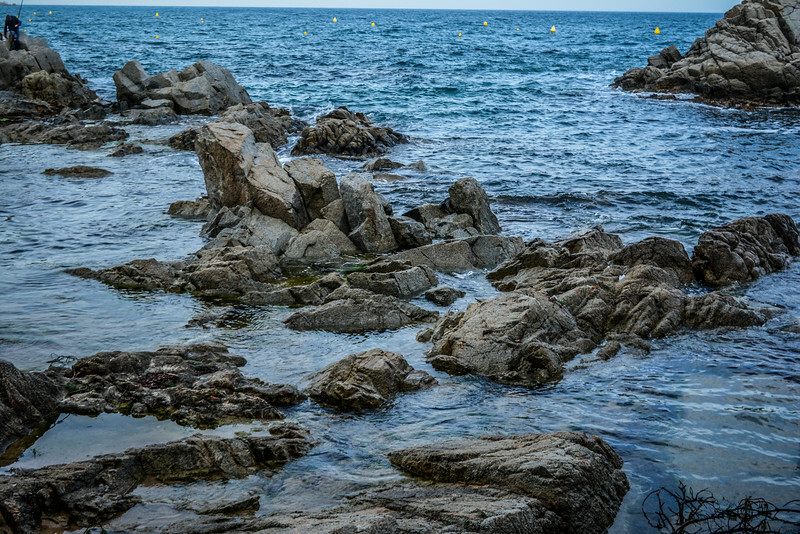 Stunning views across the ocean and relaxing to the sound of the waves crashing against the rocks are not the only benefits of hiking along the coastal paths of Lloret de Mar. Spring is a perfect season to visit Lloret to take in the gorgeous wild flowers that grow in this part of the world. With a warm, temperate climate, it is no surprise that floral species flourish so much in Lloret de Mar. 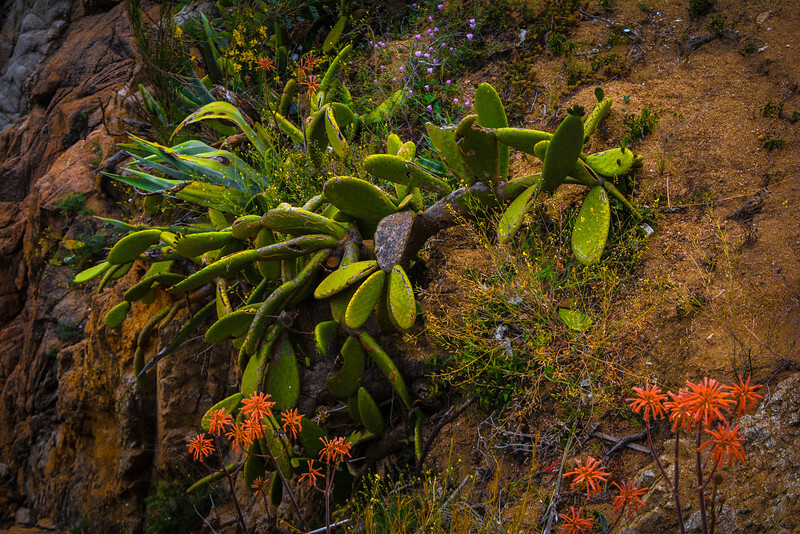 Although we didn’t get as far as exploring the gorgeous Santa Clotilde Gardens, the natural floral beauty was enough to enhance the experience of walking through a sea of picture perfect scenery. Visiting Lloret de Mar was primarily for our TBEX experience but I am delighted that we had time to explore this hidden gem along the Costa Brava coastline. The coastal path that we explored is just one of the many hiking trails you could take around Lloret and a return visit to this part of Spain is definitely on the cards, even to just experience more of these beautiful landscapes. Natural beauty is much more rewarding than exploring artificial scenery. 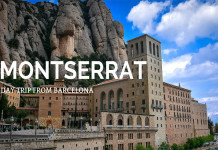 I am a huge proponent of Matt Lanter’s quote and feel that Lloret de Mar is a perfect example of this beautiful scenery that is sometimes forgotten when many travelers fail to explore those ‘off the beaten path’ locations around the world. That looks so lovely! I’d love to go to Spain! It seems I say this a lot, but there just isn’t enough time to visit all of the beautiful places around the world. I just hope that we can make there sooner rather than later. Thanks for the great images it really fuels the imagination. What images Chris! I for one love a good hike and this spot offers one of the best I’ve ever seen. The beauty is stunning and nature just permeates through the place. I had a different image of Spain before reading. Sometimes I think, city, not realising the beauty of the coast line. Thanks for sharing! What a beautiful place!! Looks like you made the most of your visit for TBEX. I was in Spain a few years ago and it really surprised me how much I liked it. I need to go again, and now this is on my list! love the photo with the two red chairs! Looks like a beautiful spot. Seeing your photos I wish I went to TBEX in Costa Brava not so much for the event, but to see all those beautiful places. Gorgeous photos! If I concentrate enough and stare long enough at them, I can almost imagine I’m there. Almost. Stunning photos! Yet another place to add to my bucket list. This is a place I’ve heard loads about as we have friends who rave about it and go there often. It looks and sounds terrific! Looks beautiful! some cracking photos there. These photos look unreal! I love venturing off the beaten path. That’s usually where all the hidden gems are found! Rugged and simply beautiful! It’s on my bucket list. We have hiked lots of great coastal paths but never this one. I’m thinking of adding it to the list now. 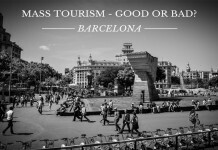 I love that these area exist ambiguously, so close to a hugely popular place like Barcelona, yet until Tbex myself and many others had never heard of it. Truly stunning place and you captured it beautifully. I wish I had made it there myself. 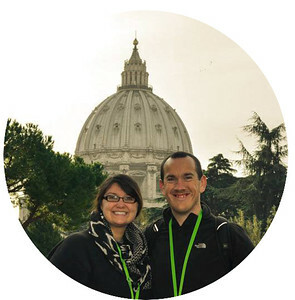 All of your pictures make me so upset that I couldn’t make it to Tbex Europe this year! I’ve been living vicariously through you guys! It looks like you had so much fun. Haven’t made it to Spain yet, but along with Portugal, those are hopefully in my near travel future. Stunning photos! WOW! So gorgeous. The statue of the fisherman’s wife worked out great with the clouds wisping up behind it. I wasn’t aware of how beautiful that coastline was. Thanks!